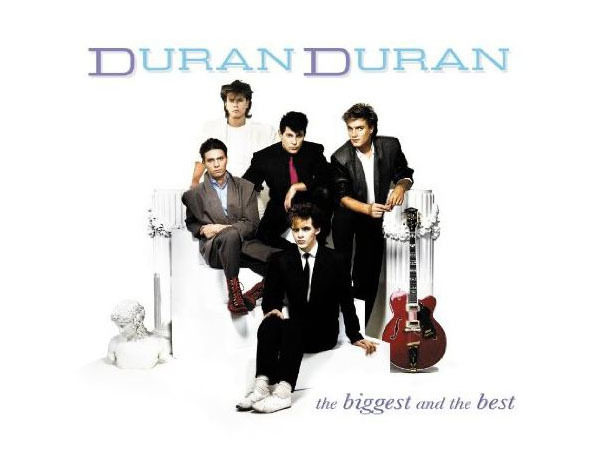 No stranger to greatest-hits sets, Duran Duran next month will receive its first-ever double-disc best-of, the 34-track The Biggest and the Best, which covers the years 1981 through 1989, collecting 20 of the band’s Top 40 hits as well as some “key album tracks” — while also omitting some pretty sizable hits from the band’s early ’90s renaissance. As evidence by the tracklist below, the new Duran collection, arranged in non-sequential order, mixes big hits (“Girls on Film,” “Rio,” “A View to a Kill,” “Notorious”) with less-aired cuts (“Faith in this Colour,” “Hold Back the Rain,” “Of Crime and Passion”). Cant wait for them to release a 3-disc best of in 5 years and maybe a 4-disc 5 years after that, haha. Just saw them live last Wednesday night. Great show! Will SAVE A PRAYER be the full-length, or the edited version they slipped into the remastered collection? Saw them a couple of years ago in Chicago at the House of Blues. We were able to get pretty close to the stage, which was by far the closest we’ve been compared to arena sized shows. My wife was a big Duranie in high school. She was practically in tears when they did The Reflex. Great show. They do not disappoint live. What exactly is the point of this? I mean, if you are a Duran Duran fan you have had these songs for over 20 years. ‘New’ Duran fans will just buy the albums. Its called a cash grab Stan!